Chocolate “curator” CocoaBella offers a selection of filled chocolates by top makers from around the world. UPDATE 9/29/2016: We have learned that CocoaBella Chocolates has closed. CocoaBella Chocolates describe themselves as “curators of the world’s finest chocolates.” They carry chocolate from around the world, mostly bonbons & truffles. They usually have at least one local artisan chocolatier: currently Michael Mischer. 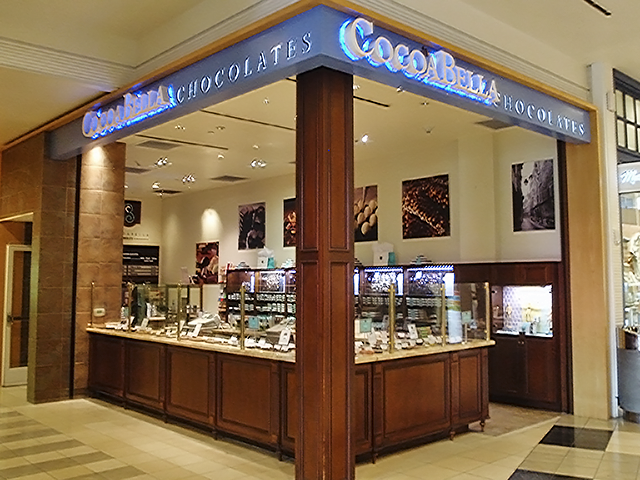 CocoaBella has a 2nd location: Westfield Valley Fair Mall in Santa Clara.